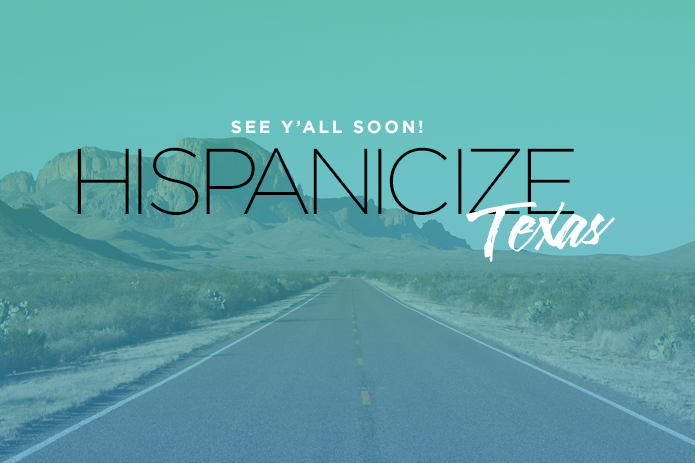 Good news for influencers, entrepreneurs, marketers and communicators in Texas: Hispanicize Media has announced the launch of Hispanicize Texas. The one-day event is expected to be held in Houston in July 2017, with more info to follow. The event will be co-led and curated by Juan Alanis and Anjelica Cazares of Juan of Words in partnership with DiMe Media, Texas Latino Bloggers, FAB Latinos, Círculo de Mujeres DFW, and a statewide advisory board. In the meantime, please join us at Hispanicize 2017 Recap on Thursday, April 27, 2017 at 12 pm. This free event will be held at: Clayton Library Carriage House, 5300 Caroline Street, Houston, TX 77004.